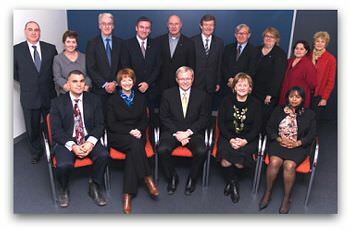 The Rudd Government's Social Inclusion Board has now commenced work. As a citizen who has never worked for government, I come to the topic of 'social inclusion' with an initial suspicion that it could simply be the novel catch-all phrase used by a new government to mimic recent initiatives in New Zealand, the UK and Ireland. Deputy Prime Minister Julia Gillard's broad panoply of ministerial portfolios — Minister for Employment, Workplace Relations, Education and Social Inclusion — may hold a clue: social inclusion is everything on the social agenda except or complementary to employment, workplace relations, and education. The government commitment to social inclusion includes giving all Australians the opportunity to secure a job, access services, connect with family, friends, work and their local community, deal with crises, and have their voices heard. These are laudable objectives. But presumably they are to be delivered to the most disadvantaged at some cost to others. Social inclusion is to be delivered by a new government after more than a decade of non-change. For the first time in three years, the government does not control the Senate. That increases the prospect of deliberative debate in the public square about policy questions. The new government is also keen to engage with the non-government sector. Those of us from that sector had a sense with the previous government that we were perceived to have little to contribute to real policy formation. In the area of policy and law, social inclusion will need to be assessed against the backdrop of the ongoing debate about the desirability of a national bill of rights. Recently the Archbishop of Canterbury, Rowan Williams, gave an insightful address at the London School of Economics pointing out that rights and utility are the two concepts that resonate most readily in the public square today. The problem is that we need concepts to set limits on rights when they interfere with the common good, the public interest or, dare I say it, public morality — the concepts used by the UN when first formulating and limiting human rights 60 years ago. We also need concepts to set limits on utility when it interferes with the dignity of the most vulnerable and the liberty of the most despised in our community. It may be in this grey area between rights and utility that social inclusion has work to do. In the legal academy there is presently a great evangelical fervour for bills of rights. This fervour manifests itself in florid espousals of the virtues of weak statutory bills of rights together with the assurance that one need not be afraid because such bills do not really change anything. It is a pleasant change for me to be cast in the role of the sceptical agnostic, insisting that the promised parousia of enhanced human rights protection be backed by hard evidence of tangibly different outcomes. Those of us with a pragmatic, evidentiary approach to the question are now well positioned, given that two of Australia's nine jurisdictions have now enacted such bills of rights with the double assurance that nothing has really changed and that things can now only get better. It will be interesting to hear an assessment of the socially inclusionary benefits of a bill of rights which provides lawyers and judges with greater access to the realm of policy and service delivery. There will presumably still be winners and losers under a policy of social inclusion. If we are to show a greater preference for the most disadvantaged, I presume that for every person on the bottom of the social ladder going through the social inclusionary program there will be ten persons slightly higher up who will be neglected. The work of Professor Tony Vinson on the geographic distribution of social disadvantage in Australia, published by Jesuit Social Services under the title Dropping Off the Edge, has been pivotal in assisting the government to articulate its position on social inclusion. In debating whether social inclusion is to be achieved by giving preference to geographically disadvantaged postcodes rather than to disadvantaged persons regardless of where they live, there will be a need to consider the double political impact. The places of greatest need will be safe Labor seats and thus there will be no short term political advantage in giving them preference, and there will be some flak for such preferential targeting. When we move from law and policy to program implementation, there is the risk that social inclusion becomes the umbrella for every silo interest to push its barrow. Provided 'social inclusion' does not become a buzzword to cloud discussion or close down argument about policy development and service delivery, it could be a useful, dignified and rightful means for enhancing the human flourishing and potential of even the most disadvantaged Australians, whether or not we have a bill of rights. Fr Frank has once again hit upon what makes life in a secularised society problematic for people who have faith in God as their yardstick. How does the society view its responsibilities to be inclusive, both as individuals and as group, including themselves and being inclusive, as the foundation for the right to be included. The biggest silo to be aware of is that which says "me first and others second" or, in a more altruistic fashion, "if I'm okay, then others will be okay". Faith in God always promotes "laying down one's life", or a little more integrational, "love God and love neighbour as you love yourself". So, 'social inclusion,' to be foundational in building up our society, needs to start with, 'how do I give of myself to build us'. Interesting discussions await us all, it's a topic that no one can opt out of, feeling 'excluded' because of a difference of beliefs, political persuasion, differing financial situations, disabililities of any kind etc. I have also worked in the NGO sector and while the sector provides valuable service to the "most disadvantaged", it can be certainly said that it also should be scrutinised thoroughly. The complexity of the layered effect of supporting "rights" certainly experiences this complicated manifestation that Frank mentions. I have also worked on the ASU SACS sector wages campaign, and have both experienced and witnessed a manifest prevalence of abuse of the rights of the very workers that deliver the NGO sector services (and hence socially inclusive services). The sector is rife with employee bullying and there is limited legislative measures that addresses this issue. I personally suffered depression due to the treatment I received as a staff member working in the community mental health sector after. I have had numerous similar accounts retold to me of workers needing to access psychiatric medications upon leaving the sector. The social inclusion agenda, as Frank mentions, will focus on the disadvantaged, which of course there is a need for, but will it address the disadvantage experienced by workers in the sector from the manifest illness of organisational structures? I don't think it will. A mental health service system that makes its workers mentally unwell in its pursuit of delivering services to enhance the life chances of social inclusion for those suffering a mental illness … to me there seems to be a glaring contradiction here! The Australian federal government may well see Canberra as the centre of the universe and some, like Fr Brennan, tend to have the same belief. The reality is that the majority of the nation's population live in the States and Territories and thus in terms of social inclusion or otherwise have been or presently are at the mercy of the State and Territorial political leaderships, all of them Labor and all of which have been in office for nigh on ten years. So, when I read Fr Brennan taking a shot at the former federal government with his "Social inclusion is to be delivered by a new government after more than a decade of non change", I can only sigh at his readiness to exclude the appalling neglect of the State Labor and Territorial from any criticism whatsoever. Heavens, the NT is about to be quizzed on what on earth it did with all the money that flowed to it from Canberra over the years that was supposed to improve the lot of the Aboriginal people and which went anywhere but. Given his interest in the Aboriginal people, I'm surprised Fr Brennan hasn't focused on this particular matter. Coast to coast neglect requires coast to coast scrutiny and some robust action, not lopsided politicking that's still shackled to the past! Frank, shortly after Ursula Stephens was charged with the new government's watch on social inclusion, I received a newsletter from her, and had to reply pointing out that nowhere in the substantial document did she make any mention at all of Aboriginal people. I replied asking why, given that there is surely no group of Australians who have suffered such comprehensive social exclusion, she had made no reference to their plight. I'm a little worried, too, at your references to the admirable Tony Vinson's work on exclusion measured by postcodes. It seems to me that a focus on postcodes doesn't invite consideration of either the scale or the nature of Aboriginal exclusion. And yet it is the one most crying out for the Australian people to recognise and address. This analysis is interesting, but the response from Sanna Andrew rings bells for me. The NGO sector, working at the coal face of disadvantage, are part of a deep seated problem. Whole sectors of our communities are starved of funding needed to bring 'social inclusion' closer for those 'excluded'. The suffering of the 'clients', their families, the staff of NGOs is considerable and hidden by the exhaustion of the services. A Bill of Rights Frank, do you want one or don't you? Mr Haill quite rightly points out that governments of (purported) various persuasions seem to have not facilitated social inclusion over the last decade. Would that Mr Haill had been either resident or staff member of one of the publicly-funded aged persons’ nursing homes over the last decade. Funding criteria were steadily refined and ‘targeted’ through this period, and then further discuss whether State and Territory governments had any authority at all in this area. Could Mr Haill please comment on Assistant Federal Treasurer Bowen’s review of Mr Costello’s period as Federal Treasurer, published in the Sydney Morning Herald on 27 August (Boomtime treasurer busted no move http://www.smh.com.au/text/articles/2008/08/26/1219516464851.html)? Better still, I think, to stick with the present ... and the Federal Labor government that's been in office for 9 months now. The distressing reality is that the State Labor governments have totally mired their respective health sectors ... are the hospital horrors of Queensland and NSW forgotten already? Here in Melbourne ... daily ... we're confronted with front page headlines concerning hundreds of children in need of heart ops ... called in and sent back home repeatedly. Our NEW women's hospital is found to be too small already ... and prem babies are sent out of the State for treatment because our sAtate government sets more store on sporting stadiums and TV self promotion. No, it comes down to the reality that Labor governments at both State and federal level seek to claim the areas of health and education as treasured and priority areas of concern while chortling over how they've kidded and dudded the nations taxpayers ... "working families" especially. WA's Premier Carpenter is just days out from a State election, and now he's saying he can find one and a half billion to build new schools - it says it all - from coast to coast. And it's a damned shame! Is this about a 'bill of rights' Frank? If we show an interest in the lives of soapies characters, we may be seen as aesthetically and culturally dim. People whose religious imagination expresses itself in exuberant devotional practices are often seen in the same way.